To do the best possible job you can, you need professional carpet cleaning equipment that looks good, won’t let you down, and a support service that is there when you need it. That’s where we come in. 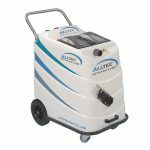 Alltec provides machines that are powerful and reliable, a team of dedicated specialists, and an incredible 100% satisfaction guarantee on all Alltec brand products. You will also need a good range of cleaning solutions and stain removal products. Alltec solutions do exactly what they say on the bottle, and as we are a manufacturer we can guarantee that the formulation and quality of our cleaning solutions is second to none. If you would like to try some of our best-selling products just order your sample or large size trial pack with discounts or money off vouchers! We can help you with everything you need; professional machines, expert solutions, outstanding training from industry-leading instructors, free advice on cleaning or stain removal, portable and Truck Mount trouble-shooting, and much more. Do you have equipment that needs servicing or repair? 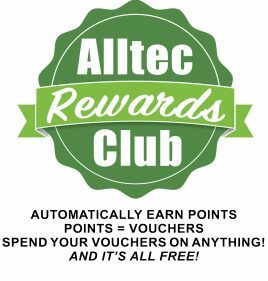 Here at Alltec, we have our own dedicated workshop and experienced technicians. We repair and service any make, any model of HWE machine, not just our own – we stock spares for most machines on the market. As with any equipment, there’s no guarantee that your equipment will never break down, but we promise to help you get back up and running as quickly as we can. We know that you work more than just office hours, so we even offer 24-7 emergency telephone advice so you can get back to making money! They say a company is only as good as the people it keeps – and we believe we keep the very best! We have an enthusiastic and dedicated team whose ethos is that the customer always comes first. Whether it’s placing an order on the phone, or needing technical advice from the workshop guys, we always strive to offer the very best service we possibly can, and if you visit us in person it usually comes with a cuppa and a smile too! We hope that your experience with Alltec will be an enjoyable one. We have a wide range of machines to suit all budgets and needs, from small, lightweight machines to high powered hard floor cleaning models. Plus all our machines are completely customisable to your requirements. We have a huge selection of solutions for Carpet, Upholstery, Rug, Leather and Hard Floor cleaning. 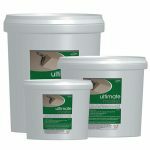 We stock professional solutions from our own Alltec & StoneCare ranges, TileMaster & Buffalo Leather. 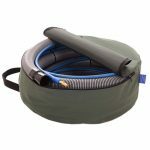 We can provide you with all types of professional carpet cleaning equipment for everything you need, from safety equipment,spraying equipment to essential machine parts and motors. From 1 Day Hands on schools for beginners or as a refresher course, to 2 day IICRC Training Schools with optional exams to apply for an internationally recognised qualification.